Julian Assange signs $1.5 million book deal "to keep WikiLeaks afloat"
Following on from our article reporting that Wikileaks founder Julian Assange had signed a book deal with both UK and US publishers to write his autobiography, we can now tell you the deal will be worth as much as $1.5 million. Assange, speaking with the Sunday Times, said the money would be used to defend himself against allegations of sexual assault, a legal case that currently means the Wikileaks founder is living under strict bail conditions following his release from jail ten days ago. As a result of the deal, Assange will receive $800,000 fro Alfred A. Knopf, his American publisher as well as £325,000 from Canongate, his UK publisher. Money from other markets could increase the total to £1.1 million. With many financial institutions freezing any payments to the whistleblowing website, Assange is having to find alternative avenues to finance Wikileaks. By writing his autobiography, Assange will receive the money directly, financing his legal costs and also giving him funds to help to keep Wikileaks online. 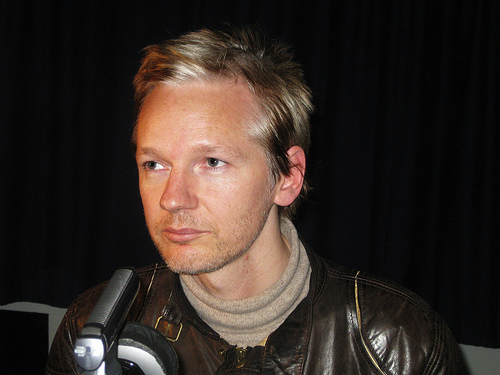 Assange will be back in court for the full hearing on the Swedish extradition request starting February 7.